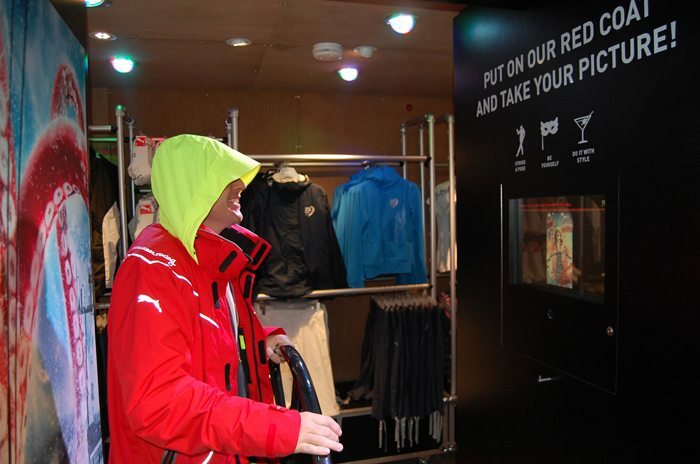 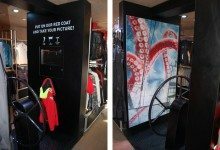 To help PUMA draw traffic to their social media activities I developed a photo kiosk concept. 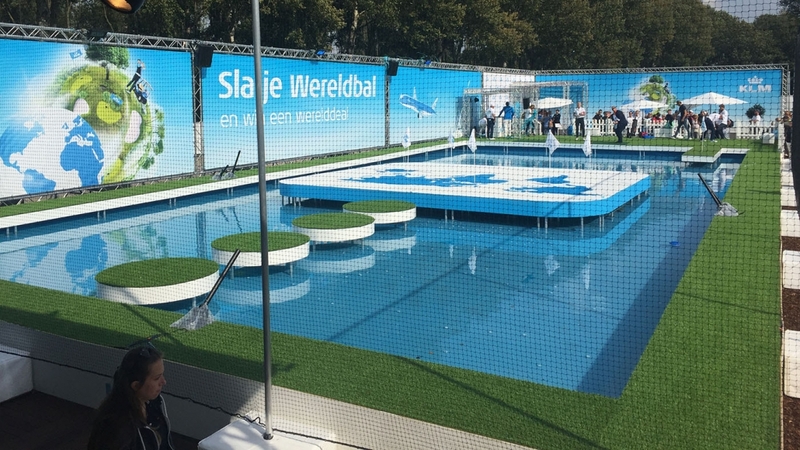 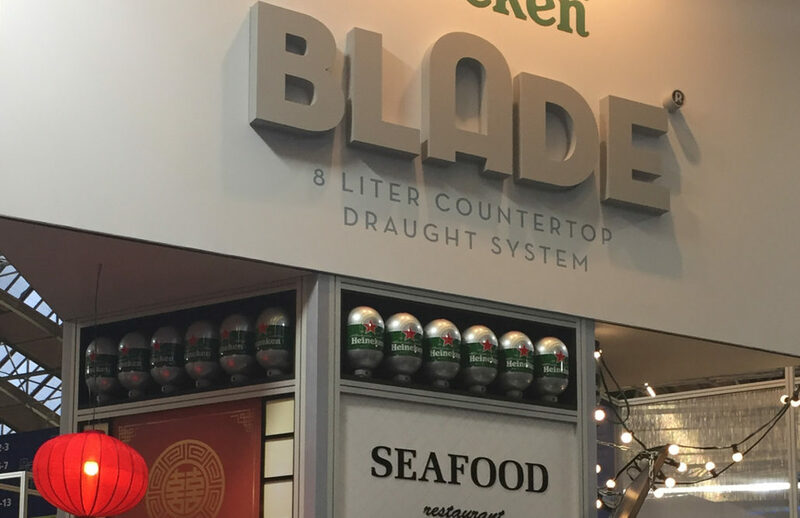 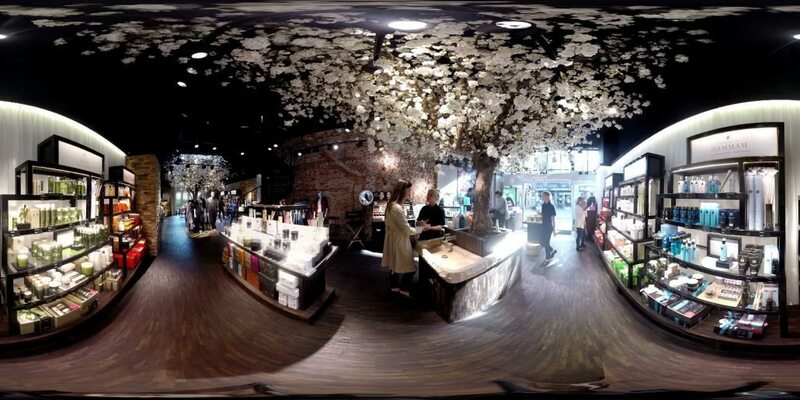 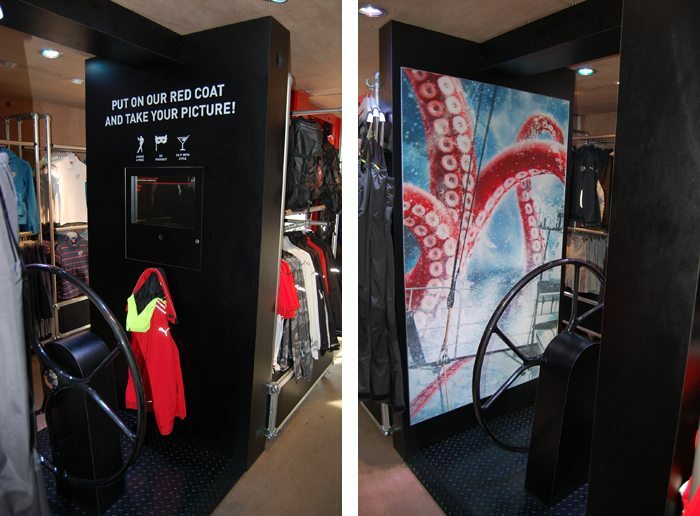 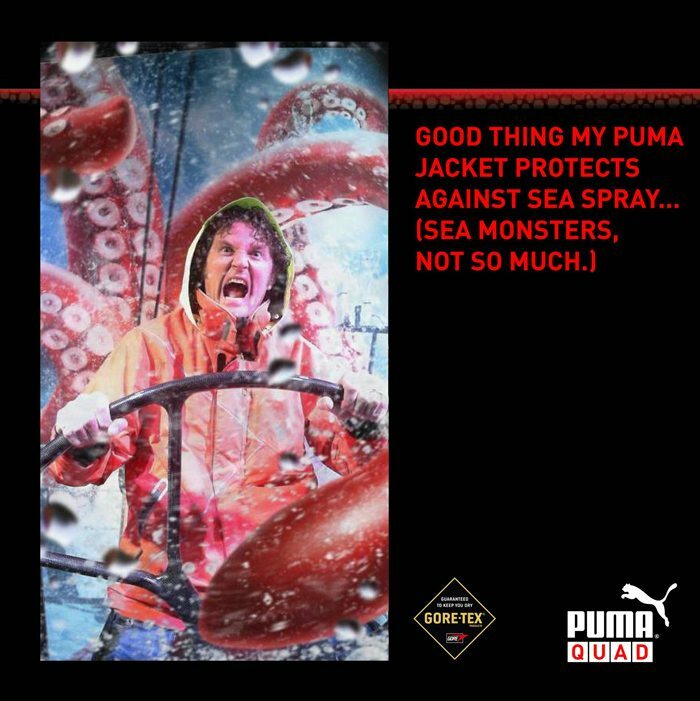 The kiosk is situated in the PUMA QUAD retail pavilion set up at the stop over cities of the Volvo Ocean Race. 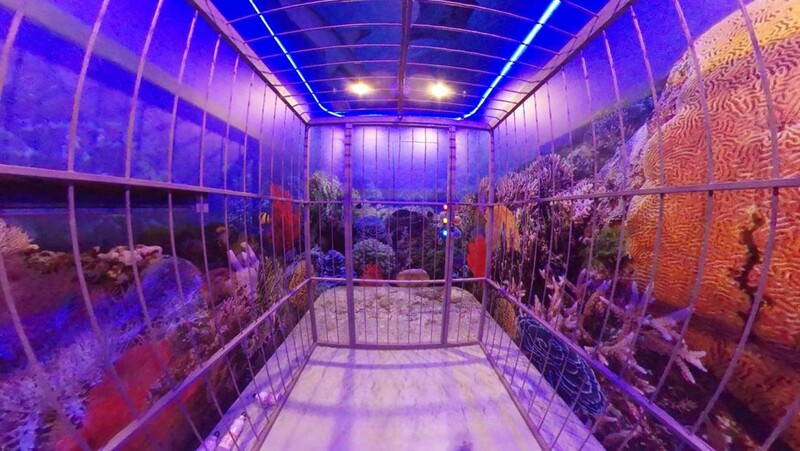 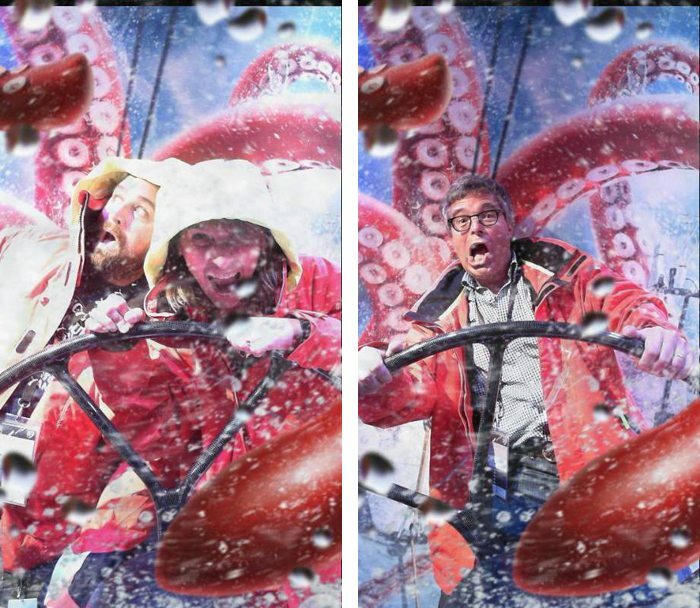 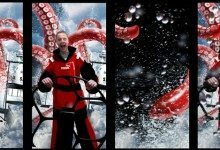 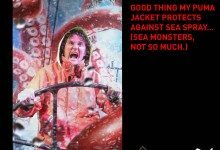 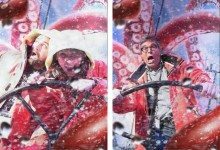 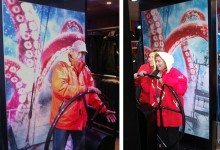 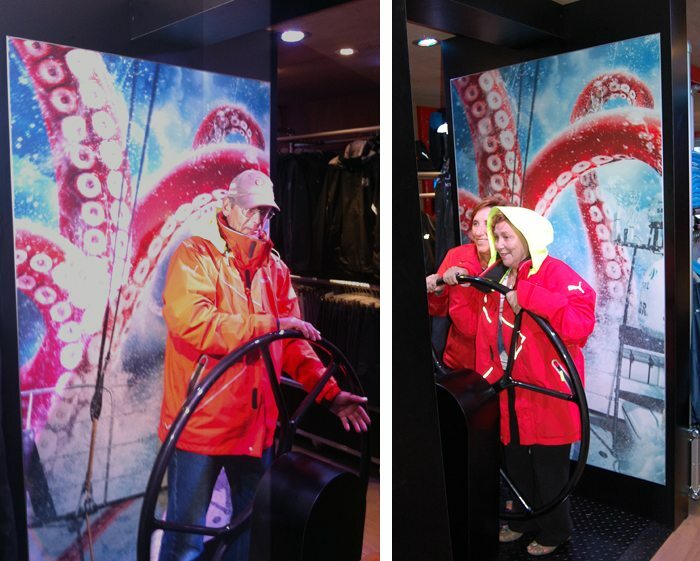 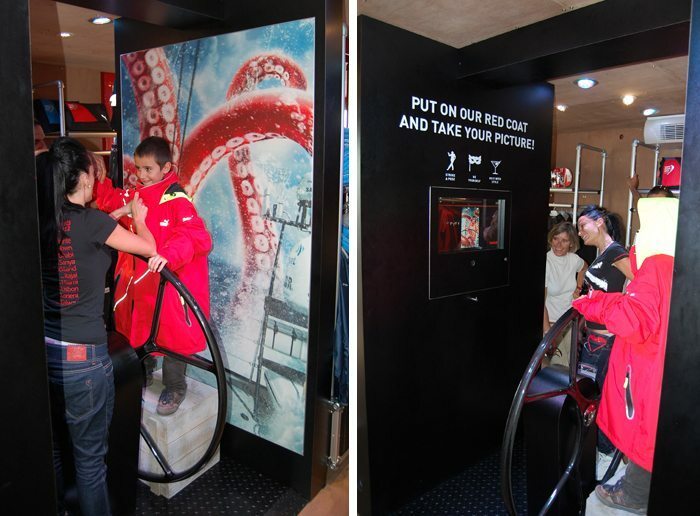 Visitors can visualize themselves as the skipper of the Mar Mostro – the ship participating in the race on behalf of PUMA. 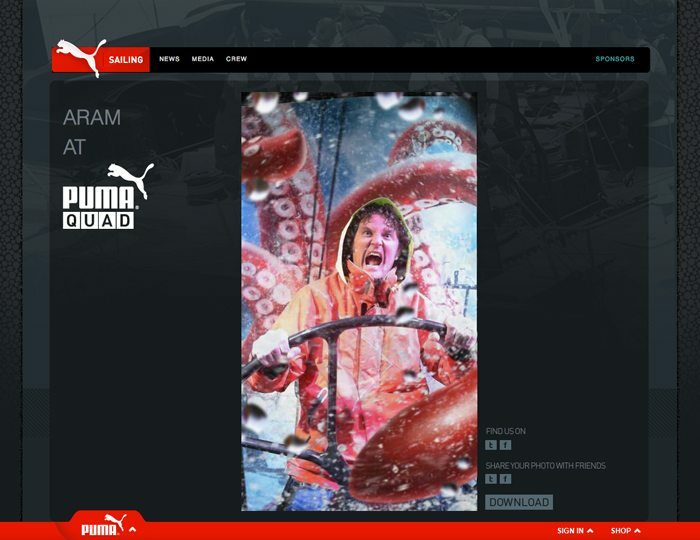 On a special website visitors can download their picture and share it on Twitter or Facebook.